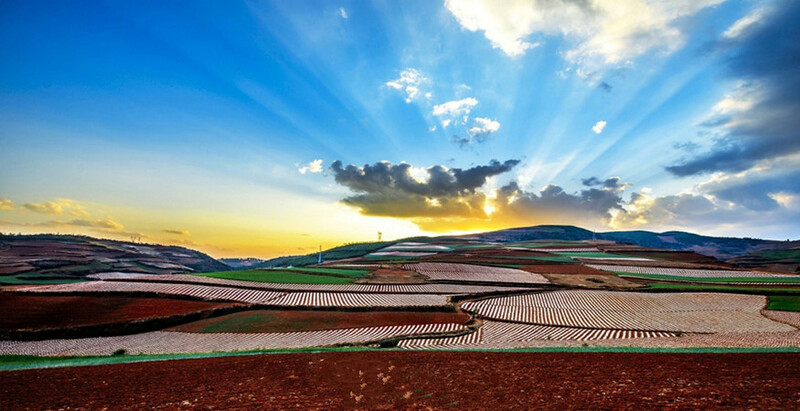 The land in Dongchuan and the terraced rice paddies in Yuanyang are the masterpieces cultivated by the industrious ethic groups in the long river of time. The beauties are breathtaking, gorgeous and magnificent! During this superlative visual feast photography tour, you’ll lose yourselves in the peerless scenery and special folk customs. Enjoy the charm and beauty of Yuanyang. 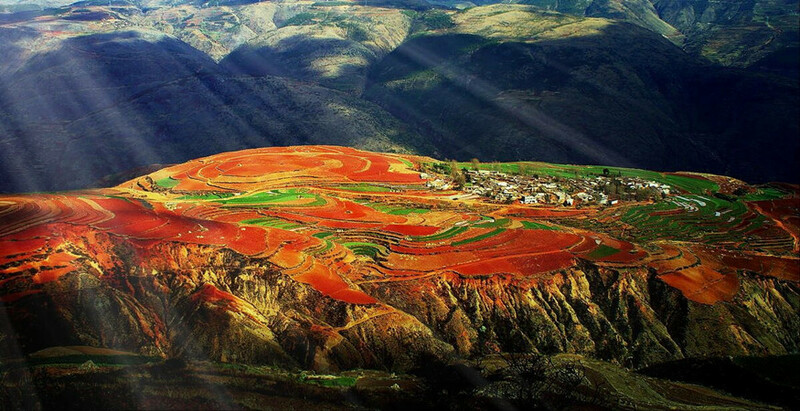 Lose yourself into the magnificence of Dongchuan Red Land. Step into ethnic village to meet ethnic people’s culture and life. If time permits, you will have a Kunming city tour to visit the Flowers and Birds Market in the downtown of Kunming. You will take a leisurely stroll along the Green Lake, a charming area of teahouses and small boutiques selling handicrafts and beautiful local paintings. 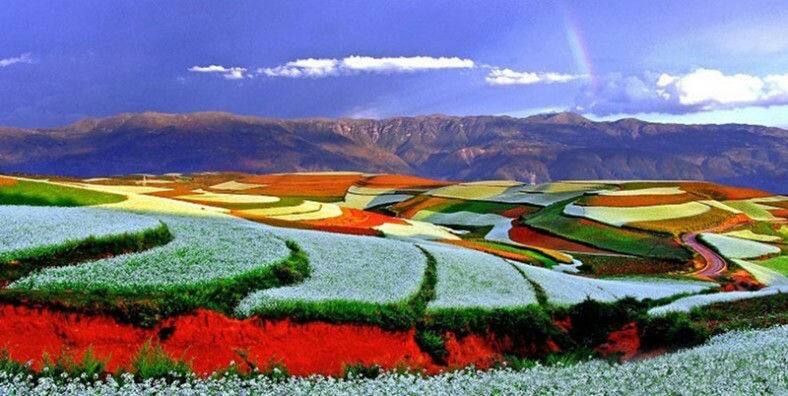 After breakfast, drive from Kunming to Dongchuan (about 3.5 hours) to enjoy the beautiful red land, known as the “Color Palette of the Earth”. Drive along the sky way, you can take photos as you like on the way. Arrive at the Red Land, enjoy the sunset if the weather allows. Recommended photography sites: Yueliang Tian, Luoxiagou, Jinxiu Yuan, Damakan, Qiannian Gushu and so on. Note: the weather will be comfortable, but please take care that it will be cold in the early morning and evening. When photographing the red land, wide-angle and long-lens are necessary! Please understand that, there is no high-level hotel in Dongchuan, we arrange you on local hotel clean with bath and air-conditioner. 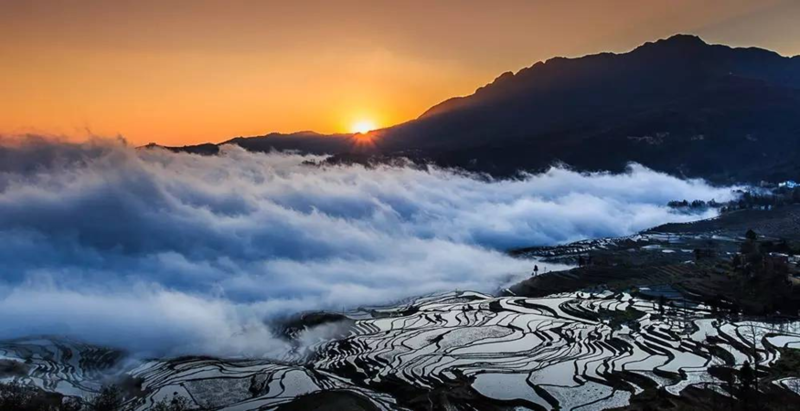 In the morning, enjoy the sunrise (if weather allows) at Damakan; then the colorful Qicai Po, visit Red Land Daguan, Luosi Wan, Yuepu Ao and Waliang Houses and so on in Xintian Village; if the weather allows, you can overlook the Jiaozi Snow Mountain. After lunch, transfer around 4.5 hours to Shilin County. Drive to visit the Stone Forest. There is a local saying: ‘It is a waste of time not to visit the Stone Forest while visiting Kunming’, which vividly expresses the deep love of the local people toward this world wonder. The quintessential karst landscape makes every tourist lost in the wonder. Today you have a full day to visit the terraces belonging to the Hani and Yi people. These rice terraces – carved out of the mountainsides by generations of Hani people – are said to be among the most magnificent in the world. 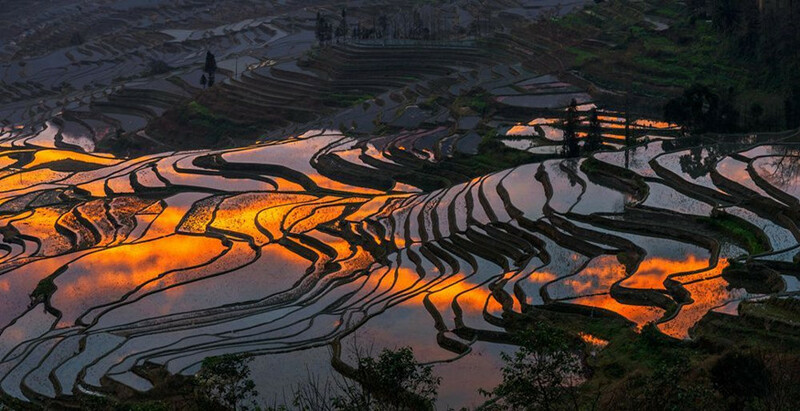 Get up very early to see the sunrise over the terraces at Duoyi village and then visit the local Hani and Yi people. During the day you will visit different areas of the huge valley to see the amazing engineering and beautiful formations of the terraces. 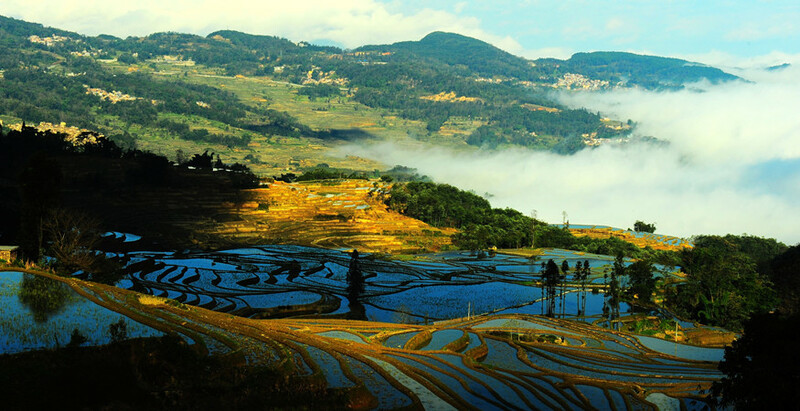 There are lots of rice terraces in Yuanyang, you will choose the most beautiful parts of them to visit. 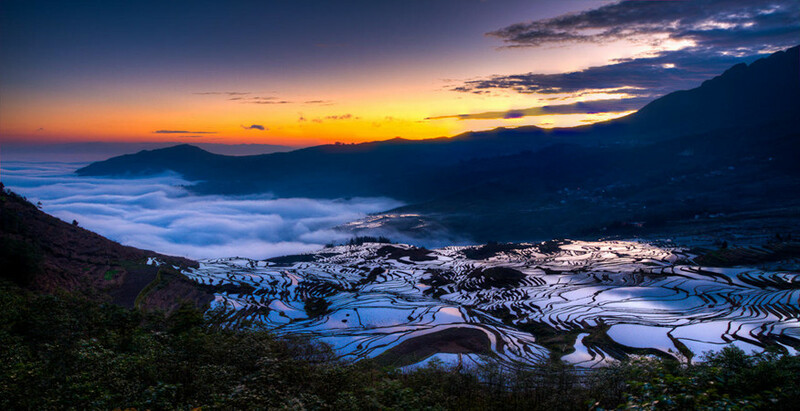 In the late afternoon, drive back to Xinjie Town, enjoy the sunset view of Longshuba Rice Terraces and villages. After breakfast in the hotel, drive about 3 hours to Jianshui County. On the way back, visit Jianshui Swallow Cave which is the largest karst formation cave in Asia. There are usually thousands of swallows flying around in this aptly named cave.You will follow a guide in the cave to see the striking caverns and also to see the bare hand rock climbing performance in the cave. Walk into the cave and visit the colorful Karst landform and take the small boat cruise out of the cave. Arrive in Jianshui Ancient Town in the afternoon, pay a visit to Jianshui Ancient Town, Zhu Family Garden and Jianshui Confucius Temple. Visit the famous Confucius Temple with its interesting history. Confucious was born in Shandong province 2,500 years ago and taught more than 3,000 students in his lifetime, among them 72 were outstanding. He is the greatest teacher in China’s history and has worldwide influence. 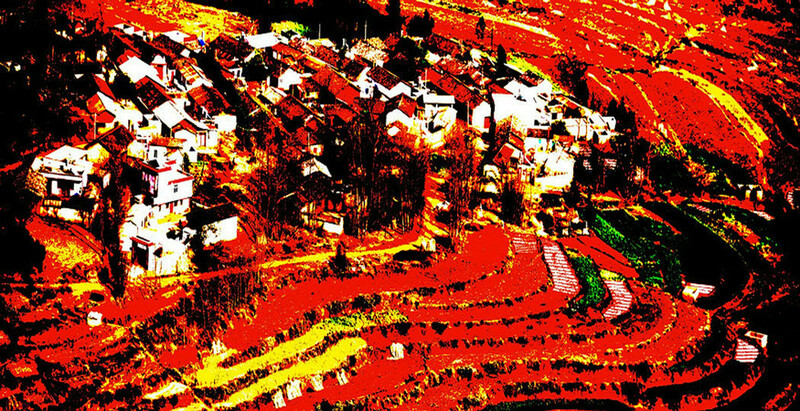 Drive to Tuanshan Village about 15KM away from Jianshui Ancient Town, visit the Zhang Family Garden, the ancient houses and the Double Dragon Bridge. Visit Tunshan village with hundred-year-old houses built by the family of Zhang. In the village, you will see the different standards of houses built by rich and poor families, and also the family temple which plays an important role for education, family history, and Chinese culture, which says that people should always remember their ancestors and maintain community traditions. After lunch, drive back to Kunming. On the way, visit Xingmeng Mongolia Village in Tonghai County of Yuxi City. Departure from Kunming. Service ends. 8. Travel Agency’s Responsibility Insurance.